"Four Stars ... anticipation has been high ... and Volbeat deliver ... perhaps their most diverse to date ... in addition to their diverse influences, singer Michael Poulsen’s voice is very distinctive. Volbeat have the ability to morph from accessible rock to heavy but melodic metal ... the legendary King Diamond lends his world-class pipes ... lots of radio friendly cuts, harder edged tracks ... and a lot of variety. It’s an impressive effort that’s both credible and commercial." 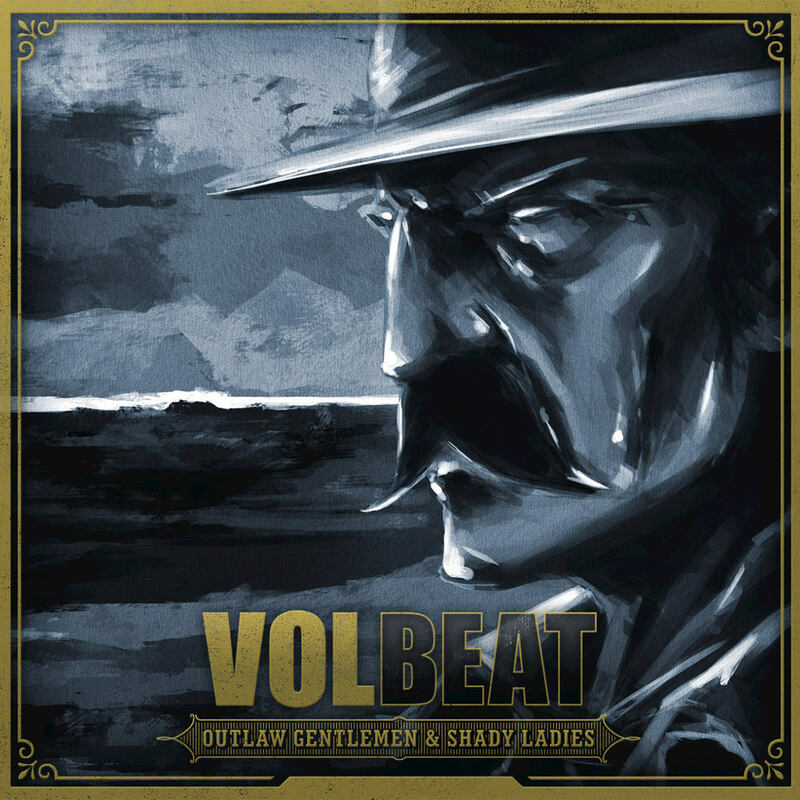 Danish metal band Volbeat evokes the era of the Wild West with 2013's Outlaw Gentlemen & Shady Ladies, co-produced by former Anthrax lead guitarist Rob Caggiano. Featuring guest vocalist King Diamond on the song Room 24, this album marks Volbeat's final outing with original bassist Anders Kjølholm. Certified gold or platinum in several countries, Outlaw Gentlemen & Shady Ladies was the group's first release to chart in the US, entering the Billboard 200 at number nine with sales exceeding 300,000 copies. In addition to the top 10 Danish singles Cape Of Our Hero and Lonesome Rider with Sarah Blackwood from Walk Off The Earth, this deluxe edition contains five bonus songs, including live versions, demos and alternate takes. Recorded by Bryan Russell & Jacob Hansen. Additional editing by Bryan Russell Recorded at Puk Studios, Denmark.